“Boy, I sure do love it when golf course bridge construction is as complicated as possible,” said no one ever. Here are three key points to consider before construction begins to make this project easier. Whether you want a copy of Swilcan Bridge from Old Course at St. Andrews, Scotland, or a custom-made bridge for your site, make sure the bridge design accommodates the traffic that will be crossing it. If it’s a bridge just for walkers it doesn’t need to be as wide or as structurally reinforced as a bridge intended for golf cart traffic. Flat, arched, or even hollow tunnel bridges enhance a golf course, but make sure you consider the history and shape of the course when you choose your bridge design. The bridge itself can be constructed from a variety of materials the most common being wood and concrete. Quality stone, composite materials, and metals are also good choices. Make sure you select quality materials that blend naturally with your course and enhance its beauty. Care should be taken during construction to make sure the walkway prevents slipping and tripping. Structural requirements are determined by building codes and experienced designers will make sure local building codes are met. When choosing a location make sure the terrain in the area is able to support the type of bridge you want to build. When selecting the best location for the bridge the biggest concerns are the natural flow of traffic, environmental habitats, natural hazards, and aesthetics. Golf course bridges add charm and a functional beauty to your golf course. With a regular maintenance program and inspections, your golf course bridge will stay in great shape for years to come. Fusion Golf LTD is an international golf construction company that would like to share our expertise with you and help you build a golf course bridge that will last a lifetime. A well-constructed bridge can be a wonderful addition to your golf course. Are you thinking of making a new investment? There are some important things to consider before you start to build. A well-designed golf course is easily tarnished with a poorly designed bridge. If you don’t take the time to consider the aesthetic of your course, the new addition can easily take away from the intended atmosphere. The material you use, the structure of the bridge, and the method of installation will all have an impact on your final results. Take the time to give your new bridge the attention it deserves. It’s never too late to ask for the help of a professional, as well! Before stepping too far into the design phase, be sure the new addition is both necessary and affordable. Research local zoning ordinances to ensure the construction meets legal standards. Some structures may require you to purchase a permit to build. Always scope the installation site for critical environmental factors. You’ll need to ensure your new structure is optimized for the landscape without causing a negative impact. Avoid materials made from harsh chemicals which may affect local plant and wildlife. However, we also need to look for environmental factors that are working against us. For example, running water will erode the construction over time. Humid environments have considerable effects on untreated wood. If you’re still not sure where to begin with your new bridge design, you may want to consider the help of a professional. 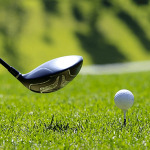 It’s imperative to look for experienced golf course experts in your area. These experts know the local climate better than anyone and can tell you exactly what you need to get started. Are you ready to build your new bridge? Contact us today!